FRANKFURT -- BMW declined to comment on news reports that it will supply diesel engines to Toyota Motor Corp. in return for hybrid technology. BMW and Toyota are in talks over a partnership that may be announced at the Tokyo auto show this week, Japan's Nikkei newspaper and Germany's Sueddeutsche Zeitung said. Under the proposed agreement, BMW will provide diesel engines, most likely 2.0-liter versions, for Toyota passenger vehicles sold in the European market, the Nikkei said. The starting date of the project and its scale are yet to be decided, the paper said. The Sueddeutsche Zeitung said BMW would gain access to Toyota's hybrid technology through the partnership. Both companies would benefit from huge savings on investment costs, the paper said. The deal is expected to help Toyota reduce development expenses by having its domestic and Polish factories make diesel engines for fewer models. BMW, which signed a deal last year with PSA/Peugeot-Citroen to jointly develop hybrid systems for subcompacts, will be able to expand its lineup of green vehicles with Toyota's help. BMW's partnership with PSA will not be affected by the Toyota deal, the Sueddeutsche Zeitung said. The partnership would be Toyota's second green-technology tie-up with a foreign automaker. In August, Toyota and Ford agreed to jointly develop hybrid trucks and SUVs. Toyota's Europe sales have fallen heavily this year, due in part to an earthquake and tsunami that hit Japan in March, causing production problems for the automaker. In the first ten months, sales of Toyota and Lexus brand cars in the EU and EFTA countries fell 9 percent to 461,229, according to industry association ACEA. 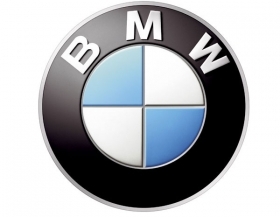 A BMW spokeswoman told Automotive News Europe: ''We don't comment on media speculation.'' Toyota also said the reports were "speculation."